What a refreshing experience it is that FELLOW products are available to the everyday coffee hero as well as barista. Here at The MoreFlavour Co., we couldn’t be more thrilled to bring a more innovative, exciting brand to South Africa. Our goal is to find and test the finest specialty coffee gear in the world, and we’re impressed with their gorgeous range of coffee and tea brewing equipment and accessories. Our expert coffee connoisseurs have identified Fellow products that people are going to love – whether home barista or professional barista. The Duo, is a dual chamber “twist” on a traditional French press. It packs a big bold taste, with no gunk. Duo’s full immersion and etched steel filter ensures a full bodied, clean tasting cup. Much like a French press, Duo’s brewing chamber lets coffee grounds hang out in hot water for a full immersion and robust extraction. Stagg [XF] Dripper and Stagg [X] Dripper is here to help you brew a better cup of coffee every morning. Through vacuum insulation, steep slopes and a unique hole and bump pattern, the drippers are designed for a better more consistent extraction with each brew. The difference in the [XF] and the [X] is that the tall column of the [XF] gives you more room for the non-traditional “fill-up” method which combines the ease of immersion brewing and the great taste of the pour-over, while the [X] is best for the ritualistic brewer invested in a precise, slow pour. Stagg [XF] Pour-Over Set will let you consistently brew barista level coffee with the most advanced, double wall vacuum insulated brewer out there. It’s the complete pour-over system which includes four pieces of equipment: the Stagg Pour-Over Dripper, Double Wall Glass Carafe, Tasting glasses and filters. 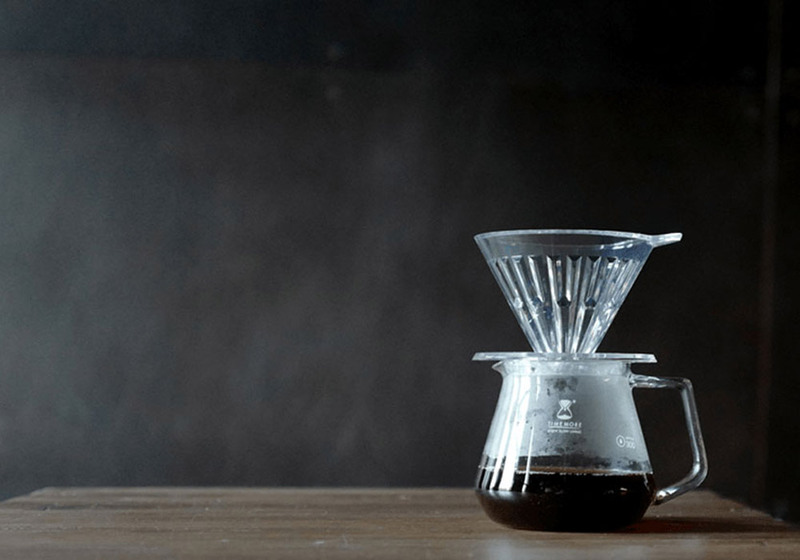 Fellow’s Stagg Pour-Over Kettle is perfect if you are into pour-over style brews, it allows pouring at an even, slow pace because of a counterbalanced handle that moves the centre of mass back toward the hand. The built-in brew-range thermometer alerts coffee drinkers when the temperature is just right. Available in different colours and finishes – Copper, polished steel, graphite, monochrome stone blue and matte black. Raven Tea Steeper is a combination of stovetop kettle and tea steeper – making the steeping of any type of tea easy with it’s steep-range thermometer, weighted handle, and integrated tea filter. You can heat and steep your tea in the same vessel, saving time and cleanup. Product design for Fellow doesn’t just stop there. Even their filters are carefully thought out and designed. Their pour-over filters are not manufactured with Japanese paper, but rather in the Midwest United States with American-made paper. Fellow selected the new paper for its minimal paper taste, went with a heavier weight for improved filtration performance, and reduced the number of flutes from 30 to 20. The flute reduction, according to Fellow, makes the filters easier to separate from the stack, sturdier inside the brewer, and better at retaining heat. We’re positive that you’ll be seeing a lot more of Fellow’s handsome products in discerning kitchens and potentially also those commercial brew bars!